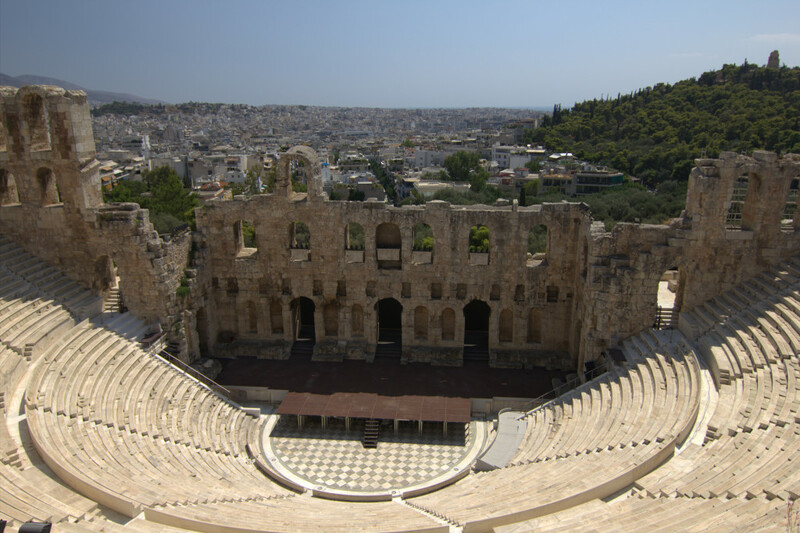 Greece was always on our list for its history, blue domed churches and white cycladic houses but had no idea this trip would form one of our most vivid memories. 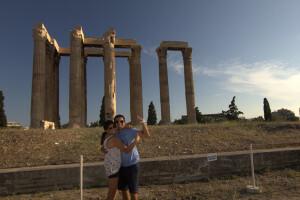 We went to Greece for 10 days in the summer and decided to visit Athens, Santorini and Milos. After 8 hour flight, commute from Athens airport to our hotel in Monastiraki was an easy 45 min train ride. We started the city tour with Ancient library ruins which is right at the beginning of Acropolis hike. 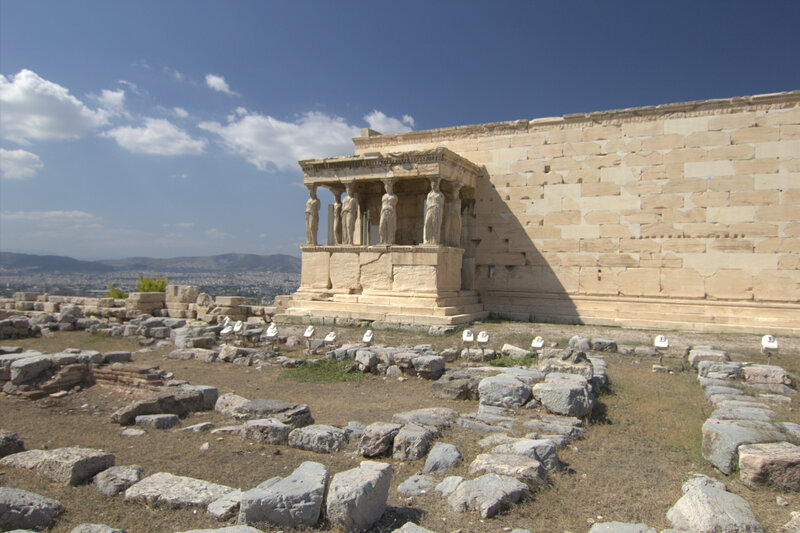 Hike to Acropolis and Parthenon which share the same entrance is a good 20 min walk. You can’t help but feel some disappointment to see what little is left of such grandeur architecture. On our way back down we saw agora and then the temple of Olympian Zeus. The next day was dedicated to museums. We did National Archaeological museum followed by the splendid Acropolis Museum which took us about 4-5 hours combined. On our last day in Athens we went to Syntagma Square and Mount Lycabettus. We decided to do an evening view of Mount Lycabettus as opposed to morning coz lets just say we were too lazy to wake up that early. We hailed a cab from temple of Olympian Zeus to get to the top. The church up there was hosting a wedding so we also got to witness part of a Greek wedding! 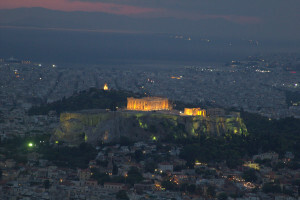 After Mandar captured few night shots of acropolis we headed back. Due to the wedding, lines for trolley were long so we decided to walk back some distance till v get a cab but due to sheer darkness it got a little adventurous! 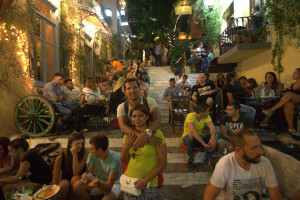 Evenings we would stroll around the Monastiraki and Plaka area – pretty lively area with thousands of shops and cafes, restaurants. There is a narrow street in Plaka where restaurants have placed tables outside and you literally sit on the stairs and chill. After some hopping we went to a rooftop restaurant for dinner which had an awesome night view of the acropolis. Food was scrumptious in Athens with the best of souvlaki, rice stuffed peppers, grape leaves and Tzatziki.